The Days of ’47 Cowboy Games and Rodeo will, for the first time, have a wine garden and beer vault — an unexpected pairing for a Mormon-linked event. The rodeo moved last year to its new $17.5 million, 10,000-seat arena inside the Utah State Fairpark, 155 N. 1000 West, Salt Lake City. In previous years, it was an indoor event at what is now the Vivint Smart Home Arena. 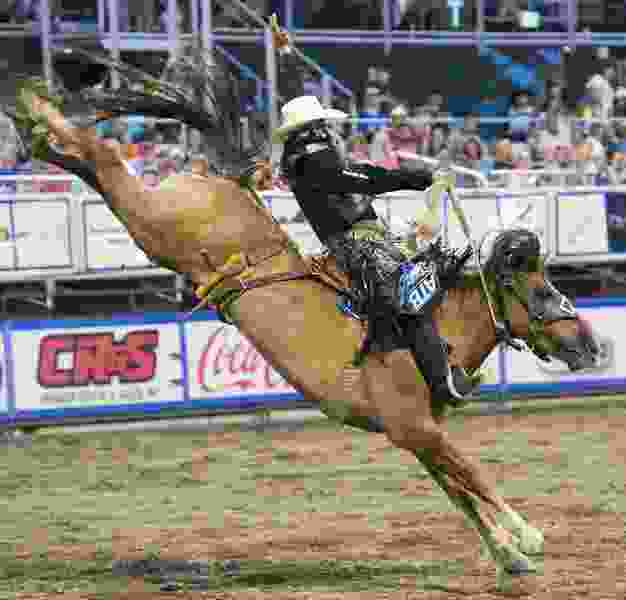 Thursday through July 24 — except Sunday — the Fairpark arena will showcase some of the best cowboys in the country competing for gold, silver and bronze medals in eight primary events, all with a $1 million payout. Each day from 4 to 8 p.m. — when the rodeo begins — families can spend time in the free Frontier Fun Zone with games, food booths, a petting zoo and exhibits that showcase the history of the Utah pioneers as well as American Indians and mountain men. A covered pavilion near the country music stage is where guests, 21 and older, can buy wine and beer, Lucia said. As at most festivals and fairs, patrons won’t be allowed to take their drinks outside the pavilion. Those who want to take a beer to their seats in the arena will have to purchase it at a separate stand. Beer was available in the arena last year. The pioneers — who 171 years ago trekked to the Salt Lake Valley in hopes of finding religious freedom — would likely not think twice about the new offering. Even the notorious Orrin Porter Rockwell, bodyguard to early Mormon leaders Joseph Smith and Brigham Young, saw beer as an economic opportunity. In 1858, he purchased land for a brewery in what is now Bluffdale. His Hot Springs Hotel and Brewery sat on land now occupied by the Utah State Prison. Some pioneers smoked cigarettes or chewed tobacco. Wine was used in the church’s sacrament, or communion, until the turn of the 20th century. LDS authorities routinely drank it, sold it, served it. Coffee and tea were common. By the 1930s, though, LDS leaders moved to make the prohibitions against the use of alcohol, tobacco, coffee and tea — enshrined in the faith’s health code called the Word of Wisdom — mandatory for faithful members. Today, such abstinence has become a hallmark of Mormonism. LDS tenets always have had a heavy influence on Days of ’47 activities. For example, if the July 24 holiday falls on a Sunday, the parade is held on a different day; the rodeo is never held the Sabbath; and no beer or wine would ever be sold along the parade route, thanks to the state’s strict liquor laws. Mormon ties have even stirred controversy for the Days of ’47, such as in the 1990s, when the Budweiser Clydesdales first took part in the parade. The iconic horses drew applause along the parade route, and wine drinkers may offer their own silent cheers to the alcohol offerings at this year’s rodeo.